Happy Thursday everyone, I've been buying makeup (again). 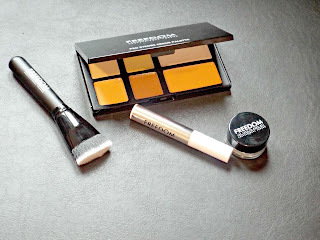 Freedom Makeup London is new to me so I'm sure you'll see a review of one or two of the products in the next few months as currently I'm still testing them out. I'm sure you beauty lovers would have seen the hype around contour palettes this year. 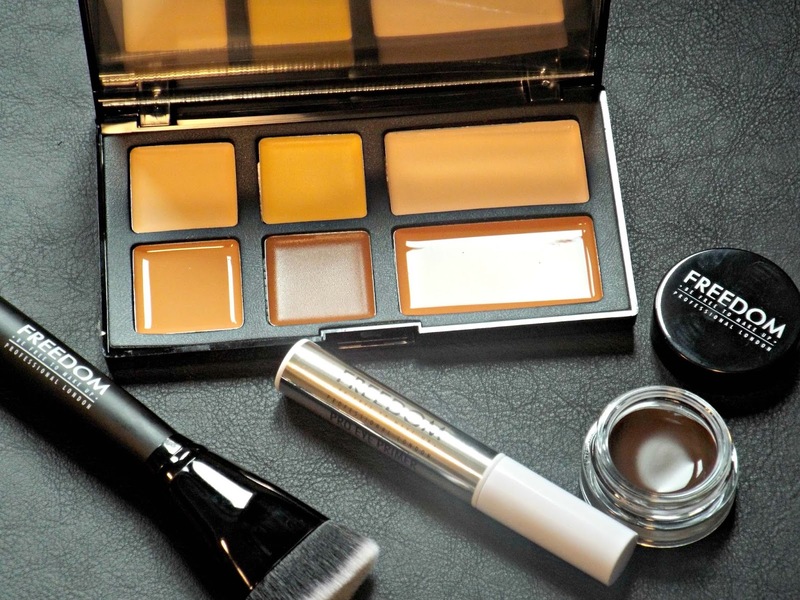 From Anastasia Beverly Hills to Laura Mercier, cream and powder contour seem to be an essential for your makeup collection. I've always used lighter and darker concealers to highlight and contour so I wanted to try something new but not too expensive so the Freedom palette for £10 including the brush seemed like a no brainer to me. The colours look okay but this was the darkest palette and it looks just about suitable for my skin tone, but that's to be expected for "drugstore" products. I've been after the Anastasia Beverly Hills brow pomade but I couldn't justify spending £16 for a brow product so I was so happy to discover a possible dupe and so far I think it is. The colour range is surprising amazing and ash brown is the perfect cool dark brown for my black eyebrows. For £5 it is so good. This past year has seen me really getting into eye shadows and I'm quickly gathering a collection of palettes and cream shadows. An eye shadow primer should set and intensify the eye shadow and make it last longer so I hope it does what it says on the tin but it is really affordable at £2.50. I have linked the products in their headers above. Have you tried any of their products? Let me know some favourites in the comments below.